Exporter of a wide range of products which include phe gasket for cement plant. 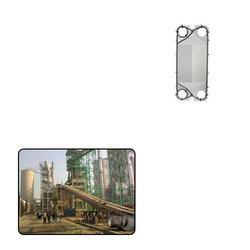 Commonly known as PHE Gasket for Cement Plant, PHE Plate With Gasket offered by us are acknowledged for their quality. The products are demanded in cement plants. The products are demanded in food & pharmaceuticals industry for various processes and also for heavy industrial applications in steel plants. Looking for PHE Gasket for Cement Plant ?